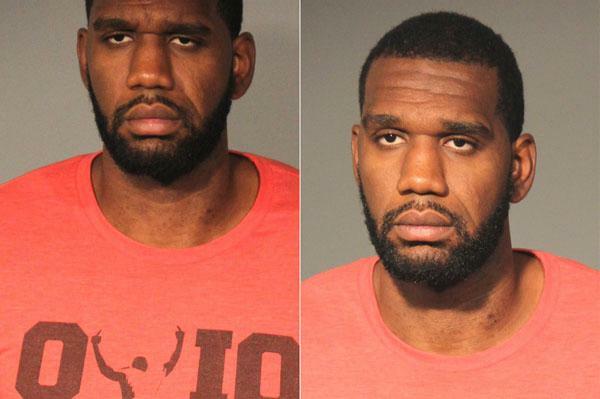 Greg Oden, the No. 1 overall pick in the 2007 NBA draft, was arrested by Indiana cops in August 2014 and charged with battery. According to Lawrence police, Oden, 26, argued with an ex-girlfriend and later allegedly admitted to officers that he swung his arms and “punched the victim in the face” during the dispute. Oden, who spent last season with the Miami Heat, was charged with two counts of misdemeanor battery and booked into the Marion County Jail, where he posed for the above mug shots.